"San Kumaradevan pro-actively investigate possible analytical approaches and strive to attain win-win efficient solutions for a given business problem.  He has more than 15 years of commercial experience in this field including overseas projects. He is looking forward to take on challenging tasks. His areas of expertise include: - Dashboard development (Tableau & Google Analytics) - Statistical analysis/ predictive modelling / data analytics (SPSS Modeler, Stata & R) - Data management & manipulation (SQL, Excel, R & SPSS Statistics) - ETL (Talend, SQL, SPSS & R) - Technical Presentations (Tableau, MS PowerPoint & MS Visio) - Stakeholder management "
San is one of the rare consultant in Sydney who has the expert knowledge to undertake any modelling task from start to finish using various statistical, database and modelling tools. He has over 10 years of commercial experience in this field including overseas projects. San is capable, intelligent and has strong problem solving skills. He proactively investigates alternative analytical approaches and identifies valued added process improvements and efficiencies. Winning five awards in the last five years appropriately validates his contribution to the business. A picture tells a thousand words. Here is a word cloud taken from San’s resume. 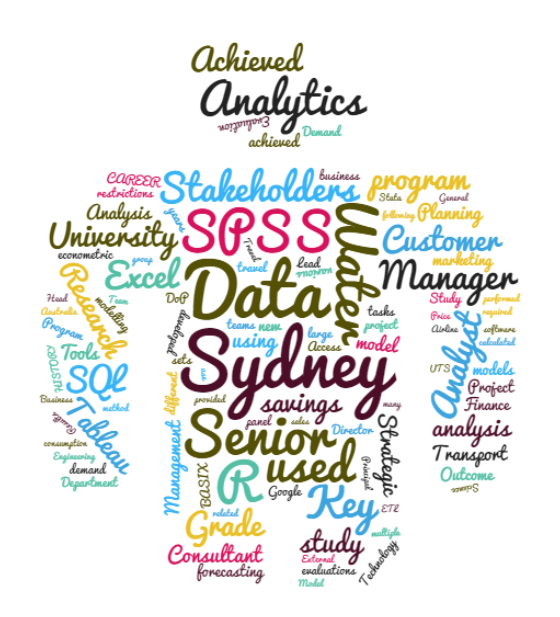 Most frequent words are: Sydney, data, study, SPSS, analysis, model, forecast, Excel, demand, program, econometric, evaluation, savings, Stata, panel, university…etc. Traditional resume can be obtained on request. Hi San, I just wanted to say thank you for helping me to stay positive through tough times. Your optimistic and friendly attitude has helped our team to remain focused during recent months while we were going through this time of change.